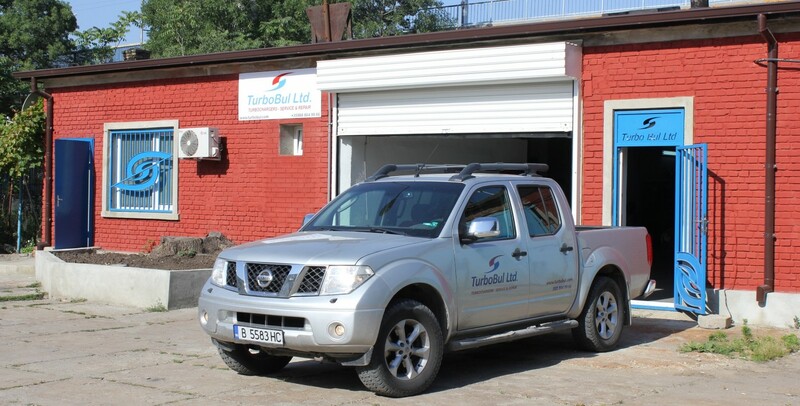 Established In 2012 with only activity turbine blades reconditioning, now Turbo Bul Ltd. open in Bulyard (South Industrial Zone), Varna, Bulgaria a fully equipped work shop encompassing all aspects of turbocharger service & repair as: rotor cleaning by glass beat blasting, shaft micro blasting, blades TIG welding; machined to its original shape (TÜV Rheinland certificated), crack detection, shaft ends & compressor wheels wear & run out tolerance inspection, roughness, hardness & casing wall thickness measuring, shaft gland & partition wall sealing strips replacing, compressor wheels and turbine blades inspection, repair or replace, nozzle / cover rings sand blast cleaning and passing area measuring. Our shop is equipped with two computerized, belt driving balancing machines: one for rotating parts weight up to 50 kg and another for parts weight up to 2000 kg. Trained and many years expired around the world, our technicians and service engineers are committed to provide a first class job with one year warranty covers all work not only in the shop, but in the field service as well. Long time mutual cooperation with Turbo USA Inc. and officially appointed agent, allows us give a service to: MET, Napier, ABB, MAN, KBB and many others including new or reconditioned (offered on exchange basis for all VTR type bearings & oil pumps are available) parts supply upon customer request. As we know the turbochargers increase engine output considerably and the efficiency is more than 70 percent also the turbocharger in good condition meets all environmental noise requirements, so to keep these important rates constantly don’t hesitate to call us. Our company maintains a high level of quality assurance, always ready at any time to solve your turbochargers problem at a competitive price.